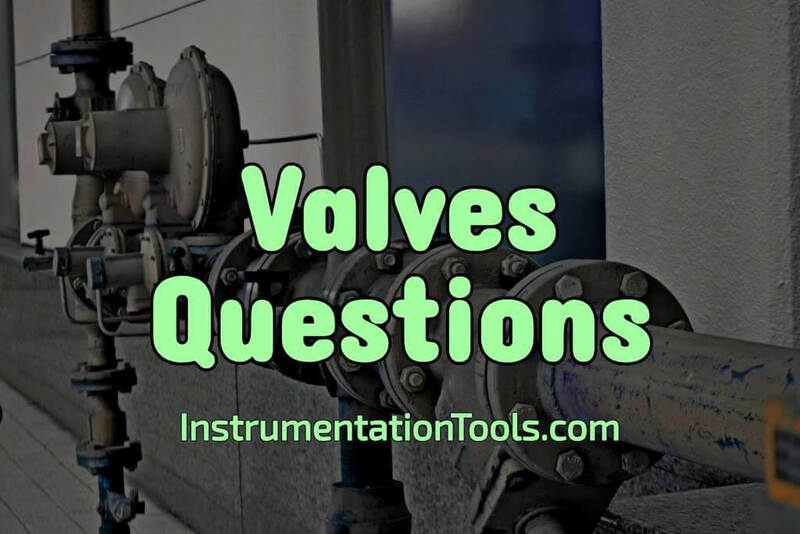 List of Objective Questions on Valves, Valves Test Questions and Online Quiz on Control Valves. Test Your skills on Control Valves. 2. On resetting valves, for example those equipped with a return spring, the —– position is the position assumed by the moving parts of the valve when it is connected but not actuated. 3. Direct control of a valve means that valve is caused to operate directly by actuating element without any ———–elements being operated. 4. —————- automatically limit flow to a single direction at the point where they are installed in an air line. 5. In pressure regulating valve inlet pressure is ———-than the outlet pressure. 11. The two most common basic flow control devices used in a pneumatic system are fixed-sized orifices and _____ valves. 12. The meter —-flow-control circuit is the preferred method to use for controlling the operating speed of cylinders in pneumatic circuits. 1. Restrictor check valves are non return valves which are also employed as flow control valves. 2. Quick exhaust valves are designed to decrease the position speed in the cylinder 3 spring force set on a pressure limiting valve or sequence valve corresponding to minimum permissible or minimum desired pressure of the controlled fluid. 4. Two way valves are used where a pure straightway function is required, that is when downstream equipment does not need exhausting to the atmosphere via this valve. 5. The pressure sequence valve holds the working pressure largely constant. 7. Shuttle valve is the pneumatic OR valve. question number 7,in Yes or no,answer is given false,but the link given showing otherwise.